Word for Today: Be guided by the Holy Spirit. Word for Today:Be guided by the Holy Spirit. 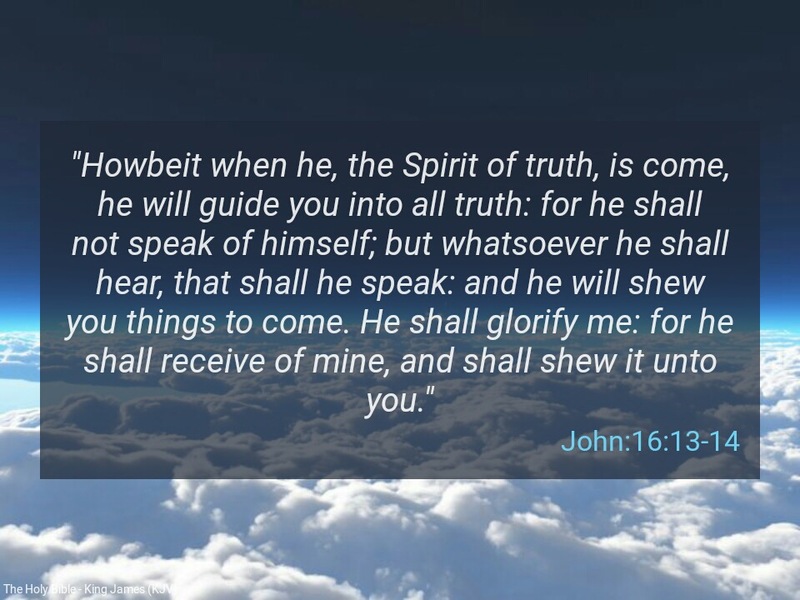 “Howbeit when he, the Spirit of truth, is come, he will guide you into all truth: for he shall not speak of himself; but whatsoever he shall hear, that shall he speak: and he will shew you things to come. He shall glorify me: for he shall receive of mine, and shall shew it unto you” ( John 16:13-14). Our memory verse says the Holy Spirit will guide us into all truth. The knowledge of the truth is very essential in our daily walk with our Lord and Saviour Jesus Christ. Many children of God are vulnerable because their steps are not daily guided and directed by the Holy Spirit in Christ. Many misfortunes and untimely deaths would have be prevented if children of God are guided away from evil appointments. Many terrible things that people experience in life can be avoided if they pay attention to the guidance of the Spirit. The bible says, the Spirit does not speak of Himself but whatever He hears from the Father and the Word, so does He speak, to give us total guidance to obtaining all material and spiritual blessings. This is what sonship is about, and all those in Christ Jesus have been been adopted as sons of God by grace. “For as many as are led by the Spirit of God, they are the sons of God” (Romans 8:14). I can hear the sound of abundance of rain! Dear Father, in Christ Jesus, please guide your church and every sincere reader of this message into all truth inJesus mighty name. Amen. Next Next post: Word for Today: Welcome to the month of GRACE.